newsinspirationWhat is the Necessary Attendee Data You Need to Collect? How deliberate are you when designing an attendee registration form? Do you just use a general template and copy and paste the fields your attendees will fill in later? Or, on the contrary, are you considering every piece of data you’d like to collect in order to build a complete registration form? I’m asking all these questions because not paying attention to what information you need to gather from your guests may cost you some valuable insights that can change how you’ll plan and run the event. For example, the absence of a simple "choose an answer" field might cause you catering challenges. You won’t know how many vegetarian meals you’ll need to provide. Or forgetting to add a simple question field will not allow you to segment your attendees and provide a more personalized approach. 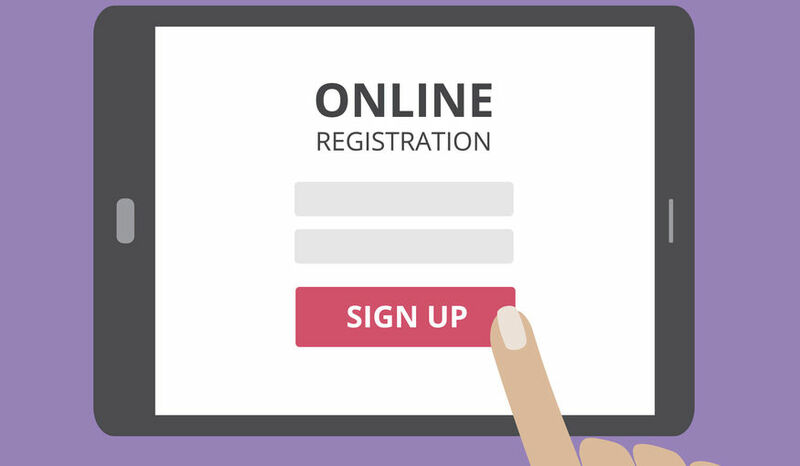 When registering attendees (via forms), you have the unique opportunity to collect and structure all the logistic-related data that will make the rest of your planning work easier. That’s why it’s important to take the time to build a powerful (yet not-too long) registration form. When registering the attendees, you may want to qualify them. Contextualization questions will help you better understand your guests. For example, you can ask for their job position or the amount of revenue their startup is making. This will give you a broader vision about your guests’ profile and help you segment them accordingly. To make your event truly accessible, you must contemplate all impairment types. Apart from physical disabilities, you may discover some of your guests have vision or hearing impairment. Some may be prone to fatigue (due to brain injury) or have restrained communication skills. Consider all these aspects to plan ahead for any possible needs. Also, ask these attendees if they will come accompanied or if they’ll need on-site help. For example, you might discover a guest will need someone to help navigate the event space (in a wheelchair), or maybe some guests will need a sign language interpreter. If you are offering coffee breaks, lunches, and/or dinners, you’ll definitely want to ask your attendees about their dietary needs. Some might be vegan, while others may have lactose intolerance or a nut allergy. Including this question on the form will help avoid unpleasant incidents and make your guests feel truly welcome. In some cases, the social program is not mandatory. However, it would be a bad idea to discover your attendees’ availability to take part in a group travel the day of the event. Act smart and ask about their interest level in attending at the social activities on the registration form. If there are several activities going on at the same time, you can create different fields so that people can choose the ones that suit them best. You don’t need to ask your attendees’ networking preferences if the only interaction will take place during coffee breaks. However, if you want to run special B2B one-on-one meetings between your guests, you’ll have to match the offer and the demand. That’s why you’ll need information about what your attendees are offering or looking for regarding the event. If the event is taking place of the course of a few days, it’s logical to ask for attendees’ availability and offer them the possibility to choose the days when they want to attend (or if they want to attend all days). This data is crucial for managing the attendees’ flow each day and other event details that depend on the guest count. Let’s say your event is international and many attendees will have to travel. Think about those who’ll need special documentation to obtain a visa. Instead of them chasing you via emails (which will also be an annoyance for you), take the necessary steps and introduce the option to ask for travel arrangement assistance on the form. Let your attendees inform you about what documents they need for the visa, and then automatize the feedback by sending them the required papers. This will save you plenty of time and stress (and emails!). The same thing goes with the accommodation. Most of your attendees might find a place to stay on their own, but others may need assistance (even something as simple as a recommendation). Offer them the chance to ask for help on the form. Then, just like with the travel arrangements, automatically send them a list of recommendations or hotel links so that they could choose the place that suits them best. There are other things you may want to introduce in the registration form. For example, you could ask for your attendees for their social media handles or T-shirt size (if you’re giving away a T-shirt). But all these details depend on your goals. However, the main idea of this article is to make you realize how important is to build a complete registration form so you can manage event logistics more efficiently.